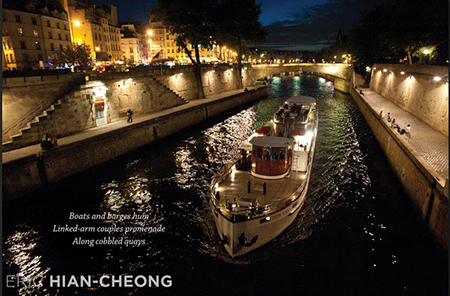 Welcome to the July 2017 edition of our newsletter Paris Panorama! 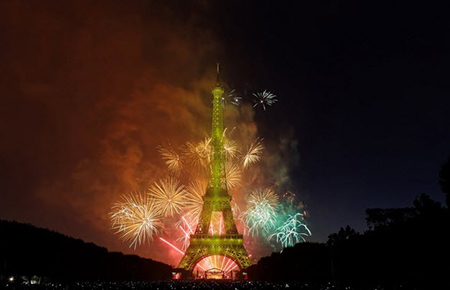 The highlight of the summer is Bastille Day, France's national holiday, on July 14. The fireworks display at the Eiffel Tower begins between 11:00 p.m. and 11:30 p.m. 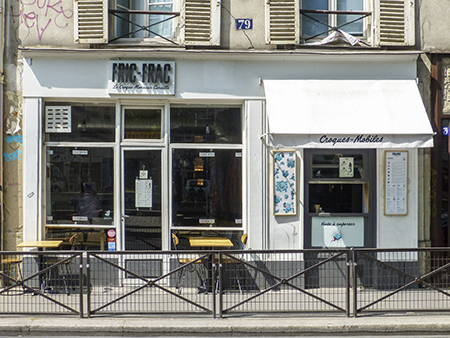 Located on the Saint Martin Canal in the distant 10th arrondissement, the owners and chef of Fric-Frac have taken the old-fashioned croque-monsieur (a baked or pan-fried boiled-ham sandwich prepared with Emmenthal cheese) and transformed it into a modern meal. 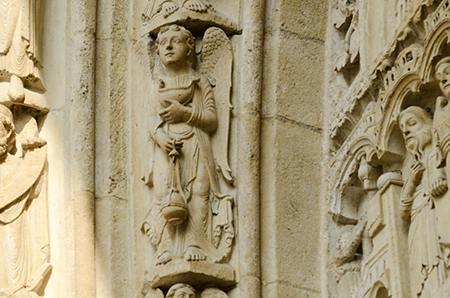 Like the notes of Gregorian chants sung within the cathedral, the angels of the portal on the right-side facade of Notre Dame ascend and descend the arches, swinging incense-burners in a rhythmic beat. Inspired by the dense ornamentation of illuminated manuscripts, the anonymous sculptors stacked every niche of the arches with angels lined up next to rows of Old Testament prophets and patriarchs.